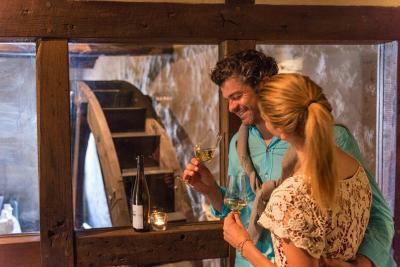 Lock in a great price for Landgasthof Zum Weissen Schwanen – rated 8.2 by recent guests! Walking distance from train station and a nice hike to Marksburg castle. 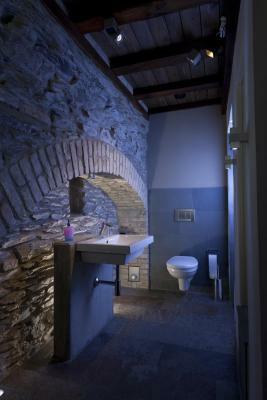 The building is a converted mill and preserves the old waterwheel, mill, millstream, stonework and woodwork. Staff was very friendly and helped us out when needed. I enjoyed the breakfast in the morning and the takeaway lunch that you can make. 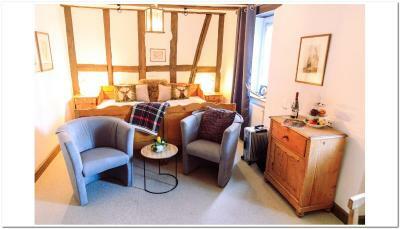 The rooms were larger than normal and typical of a B&B. The art in the hallways are interesting and provided me and my wife fun discussion topics. This is a gem. Our favorite night in our 2 week trip. It is an old mill, and contains a museum. Decorated with antiques. Most memorable breakfast - amazing. The lady who helped us (she spoke some english) was so very nice. 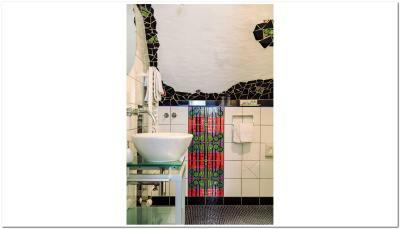 The location was excellent and the room was well equipped. Medieval buildings. Cosy. Restaurant was quite cosy. Waiters were very attentive. Breakfast was good. There were also lunch packages for walking. The bathroom had a bath. We stayed in an annex across the road from the hotel, the staff were very helpful and they have some interesting original art in the hotel and rooms. 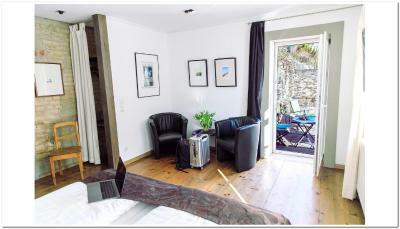 Landgasthof Zum Weissen Schwanen This rating is a reflection of how the property compares to the industry standard when it comes to price, facilities and services available. It's based on a self-evaluation by the property. Use this rating to help choose your stay! 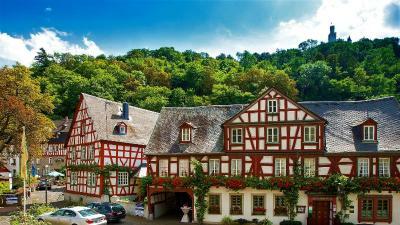 This family-run, 3-star superior hotel offers tasteful accommodations in Braubach on the scenic banks of the Rhine river, just a short walk away from the town’s train station. 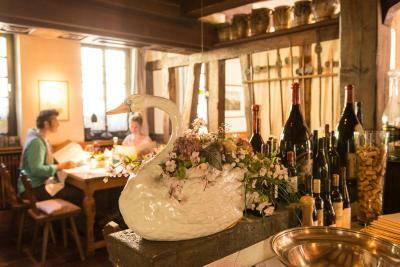 Cozy rooms decorated in a classic country house style await you at the Landgasthof Zum Weissen Schwanen. 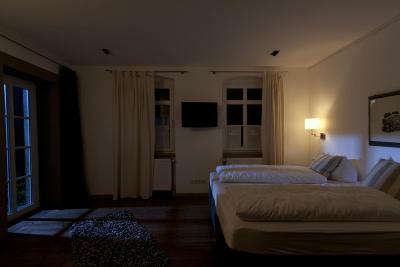 All of the rooms feature comfy beds, private bathrooms and free internet access (via modem). 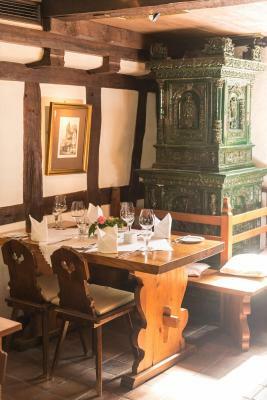 Diners can try delicious regional cuisine and fine wines in the Zum Weissen Schwanen’s welcoming restaurant. 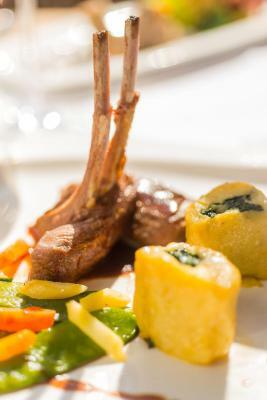 Alternatively, you can enjoy international specialties and freshly brewed coffee in the hotel’s Brasserie Brentano. 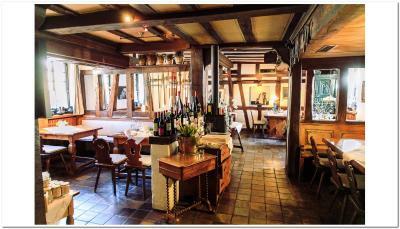 During the summer months, relax with a refreshing draft beer in the Zum Weissen Schwanen’s attractive beer garden. While staying in Braubach, take some time to explore popular sights, such as the Marksburg and Schloss Philippsburg castles. 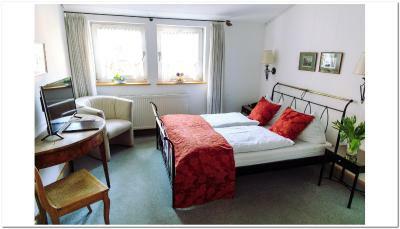 When would you like to stay at Landgasthof Zum Weissen Schwanen? 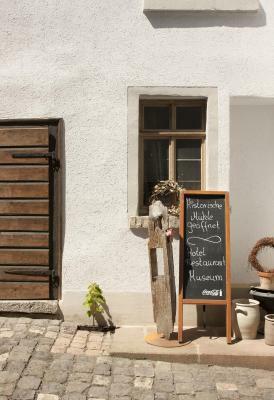 House Rules Landgasthof Zum Weissen Schwanen takes special requests – add in the next step! ATM card Debit card Landgasthof Zum Weissen Schwanen accepts these cards and reserves the right to temporarily hold an amount prior to arrival. Landgasthof Zum Weissen Schwanen accepts these cards and reserves the right to temporarily hold an amount prior to arrival. We were charged for parking on site even though we were the only guests. Wi fi only worked in reception area not the room. Communication before arrival did not seem to work very well neither in English and hardly in German. Had some questions which were merely ignored which caused some confusion. The service at place was friendly though. 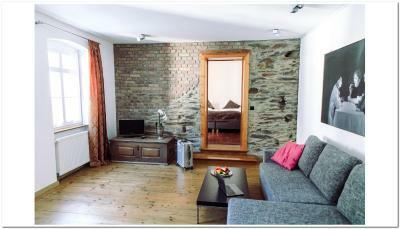 Old mill renovated to a guesthouse. 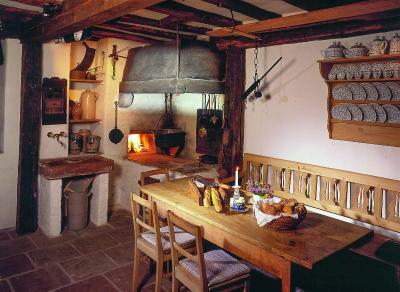 If you enjoy historical, rustic atmosphere this is a nice place to stay. 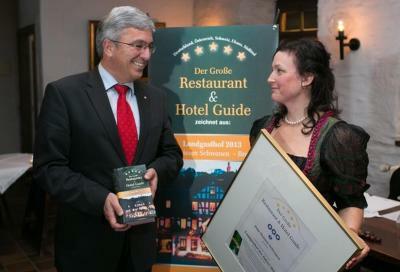 Good location to experience both Rhein and Mosel valleys. Antique-style old furniture and beds not the most comfortable but the hotel had paid attention to detail, everything was clean and cosy. Tasty and nice breakfast, all nicely set up. Initially the room was cold but after heaters turned on became warm. The communication with staff was poor as there were only 2 people we found around and only one spoke English a little. The hotel was separated into different buildings with no instructions about where the breakfast was served so we had to ask a customer where to go. No WiFi in rooms. 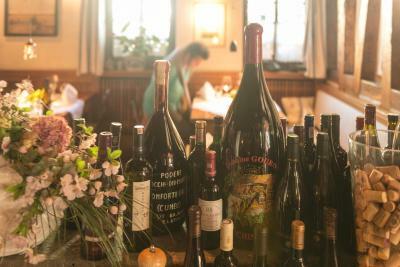 No beer selection in restaurant. Pricey restaurant. There was nothing I didn't like but there are a few areas which could be of concern. The parking could be a problem with a larger car. 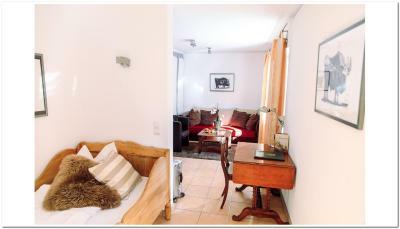 It is a few minutes walk to the train station and old town. In the summer months it will be hot since there is no air conditioning and tucked away so your room might not get a cool breeze. With the checkout there was nobody there and we had to wait 15 minutes. No appology that we had to wait. The beds were horrible, old, creaky and the sheets were rough. Didn't really sleep. The shower is not clean! There was not anything that I didn't like about the hotel...it didn't have great wi-fi, but that was okay since we were out exploring the city most of the day anyway. This hotel has amazing German charm. 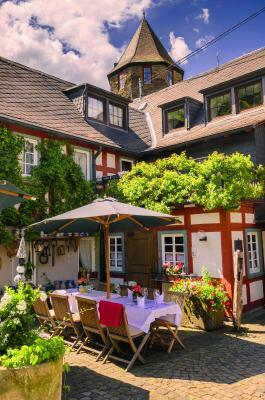 It is stunning from the outside with its quaint German old-style architecture, and it is super cozy and pretty on the inside. There are lots of little public hallways and patios that my husband and I enjoyed exploring. The hiking trail to Marksburg castle is right nearby. Oh, and they offer a free breakfast every morning and it is delicious! They offer scrambled eggs, tons of sausage selections, cereal, juices, fresh fruit and vegetables, breads, etc. We looked forward to breakfast every morning! !